Taking lead: G.V. Prasad, chief executive of Dr Reddy’s Laboratories, is engaging all employees to drive the culture of frugality across the organization. “The idea behind this was to keep employees in the loop about the tough times and what we as a company need to do to remain competitive," he says. Bhasin’s strategy of personally sending out a mail was simple. “One, this would help allay any existing fear among employees. Second, we could harness their ideas because they will know more than the leaders on how we can save costs. " 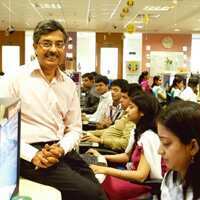 Genpact is not the only company where the CEO is personally involved in guiding the staff through tough economic times. At pharmaceutical company Dr Reddy’s Laboratories Ltd, CEO G.V. Prasad is keeping all employees updated on the organization’s response to market changes. Prasad communicates with his employees through emails, quarterly meetings, a blog called Perspectives accessible only to employees, and by talking to them. “In fact, this is the best time to instill the importance of frugality in employees because they will understand it better than in a phase when companies are booking high profits," says Prasad. “The CEO’s role has many dimensions. His ability to understand and connect with his people as well as create a motivating and engaging environment often ensures the differentiating ‘winning culture’," says Martial Rolland, chairman and managing director of Nestle India Ltd, a subsidiary of the world’s biggest food company Nestle SA. “This is especially so in situations of economic slowdown or deceleration." There is a huge pay-off from talking with and listening to employees. Just like an annual general meeting addressed by the chairman of a company who gives shareholders a chance to understand the company’s goals and ask questions, a town hall (large group) meeting, where the employees are addressed by the CEO, helps instill faith among the workforce and motivates them. “Companies come down to cultures and individuals during tough times," says Laurence G. O’Neil, president and CEO, Society for Human Resource Management, a US-based not-for-profit organization focused on human resources management. “The key skill in these times is being able to steer clear of ambiguity," he says. “If the CEO does not present things clearly, it creates nervousness and uncertainty amongst employees." Harnessing ideas: Pramod Bhasin, president and CEO of Genpact, sent out a mail to his employees inviting suggestions on cost-cutting. 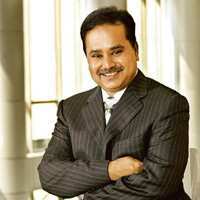 In 2005, when Atul Singh moved to India from China with a mandate to pull Coca-Cola India Ltd out of the quagmire of recurring controversies that not only dented the company’s image but also took a toll on business, the first thing the new president and CEO did was convene regular meetings with his employees. He would update the employees on the challenges faced by the company and also the steps taken to meet them. The process of building confidence in the company and the business begins with the employees, he had said then. The practice of meeting with employees is now a part of the Coca-Cola culture. Singh, according to a company spokesperson, still meets employees every quarter and though the company is not listed in India, he shares important financial details and strategies with them. Today, Coca-Cola has left all controversies behind; it has registered nine straight quarters of growth, of which six quarters have seen double-digit growth. In the quarter ended September, it posted 18% growth. Experts say in times of uncertainty, employee engagement and communication take on a critical role. “Whenever there is a perceived threat, as perhaps is happening now, where many feel that their jobs might be at risk or they feel they will be affected by the economic downturn, it is important that we share our thoughts and plans with our employees accurately and objectively and also collect their feedback," says H.S. 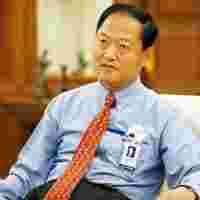 Lheem, managing director, Hyundai Motor India Ltd, or HMIL. Recently, the HMIL boss initiated a short briefing session between the employees and the HR team to evaluate the business climate with employees and reassure them that the company is still on course with its plans and not much would change. Lheem says in times of crisis, “we open up new channels of communication, although it is very centralized with the corporate communication team playing a major role". “Though communication is important at all times, during a crisis it assumes higher significance given the unsettling impact of uncertainties on everybody—employees, customers and shareholders," says Prasad. That communication from the top leader is important, especially in resolving a stand-off, is evident from the Jet Airways (India) Ltd incident in October. When the aviation company announced the layoff of 1,900 employees, there was widespread furore with the retrenched staff taking to the streets. As reported in Mint on 17 October, normalcy at Jet Airways was restored only after founder-chairman Naresh Goyal intervened and reversed the decision. Experts say CEOs who are connected to organizational personnel on a sustained basis are in a better position to deal with the vagaries of economies and markets, downturns and disasters. “A good leader engages all employees and helps them understand changes, the impact on its business and the decisions undertaken to deal with the new situation," says O’Neil. As S. Ramadorai, CEO and managing director of India’s top software services exporter, Tata Consultancy Services Ltd (TCS), puts it, the CEO is the “chief employee officer" of today. “This coinage becomes far more significant in a volatile business environment. As the organizational head, the CEO plays a strategic role in employee communication and talent management in difficult times," he says. How the CEO’s thoughts are communicated also make a lot of difference. “It is not just enough communication but the nature of communication that matters," says Jerome Joseph, professor, personnel and industrial relations, Indian Institute of Management, Ahmedabad. “Concern and credibility are more important than frequency and sophistication of communication." At TCS, the CEO communicates with employees on the internal portal, at town halls across locations and at other internal forums in the organization. “We believe there are plenty of opportunities for growth in a tough economy and I am extensively using the TCS internal portal to communicate the same to employees and offer reassurance," says Ramadorai. For example, a communication initiative from the CEO was undertaken to inform employees about the company’s performance in the second quarter (July-September) as well as offer reassurance on the business health of the organization. This was followed by a focused people-centric communication to address key employee concerns and market speculations on the company’s prospects. Agrees Rolland: “There are several ongoing initiatives where I spend time such as breakfast meetings, when I engage in face-to-face discussions with groups of employees, and periodic audio conferencing where I simultaneously engage with employees across all our factories, sales and other offices," he says. “I also spend significant amount of time travelling to different locations and talking with employees as well as interacting with them at training programmes." CEOs also need to be careful about not ending up with knee-jerk reactions in their scramble to manage short-term pressures. Experts say CEOs who are able to see long-term goals even as they manage the short- term pressures tend to be more successful. “This is a time when a CEO’s leadership skills, courage, vision and innovative streak are put to test," says O’Neil. Approaching people issues with respect, dignity, concern for the livelihood of individuals and families and working out solutions which keep these values are important, say experts. “The approach of a CEO in hard times is more important for brand-building than people-friendly policies and practices in good times," says Joseph. The other important aspect of any internal communication is to create a two-way communication channel. 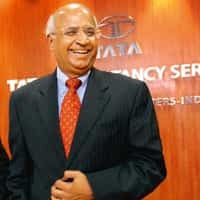 For example, Ramadorai’s message to all TCS employees on the company’s performance was complemented by a dipstick survey to capture employee feedback. “This has helped us understand the pulse of our employees in the current environment and fine-tune communication to drive effectiveness," says Ramadorai. “Often employees on the floor have better insights into inefficiencies and wastages in an organization than top executives sitting in their ivory towers," says Bhasin. CEOs say a downturn is a good time not only to make organizations efficient and hone good practices but also offers a chance to leaders to look at problems squarely in the eye and make the most of the worst. Says Prasad: “No CEO should waste a crisis."